Malaysian Sheikh Muszaphar was the ninth Muslim in space but his spaceflight, on a Russian-led mission, may have set the benchmark for future travellers of religious persuasion. The first Malaysian in space rode into the final frontier on a Russian rocket on October 10, 2007. As launches go, it was a textbook liftoff. But the actual flight was a tricky one because the first Malaysian in space had to comply with certain Islamic rules – 400 km above Earth. Sheikh Muszaphar, a 36 year old medic, had been handpicked out of 11,000 applicants from Malaysia. When he arrived at the International Space Station, riding the Soyuz-TMA-11 rocket, the antariksawan – cosmonaut in Malay – was expecting to conduct a series of experiments to study the effect of microgravity on the human body, cancer cells and bacteria. Muslims are required to face in the general direction of the city of Mecca while saying the mandatory – five times a day – prayers. But locating the tiny city from space is not an easy task, especially when you are hurtling around Earth at more than 17,000 km per hour. Also, in space there is no sense of direction – as we know it on land. The Malaysian cosmonaut was therefore all at sea during his first space flight. Mercifully, Muszaphar was released from fasting, and was allowed to say shorter prayers and perform daily rituals according to Kazakhstan time. Plus, he didn’t have to face the constant ordeal of locating Mecca. It isn’t known whether it was the Russian space station crew or the Malaysian space bosses who overruled the ulema, but Muszaphar’s mission set a benchmark for future Muslim space travellers. “Muszaphar's flight highlighted the challenges that Muslims confront in practising their religion in space,” writes Robert Harding in 'Space Policy in Developing Countries: The Search for Security and Development on the Final Frontier'. For, in space where the slightest mistake can cause a great tragedy and place the entire mission in jeopardy, cosmonauts – especially crew members – should be concentrating on the mission rather than prayers. Following religious laws drafted in the seventh century can be difficult in the space age. For instance, Muslims are required to fast from daybreak to sunset during the month of Ramadan. However, in low earth orbit you have a sunrise every 90 minutes. Therefore, in space there is a no night or day as we know them on earth. The Malaysian government planned to buy the space capsule that had brought the “Malaysian Gagarin” back to Earth and put it on show as a symbol of the country’s advance in science and technology. But the plan could not have come at a worse time as a global economic crisis broke out and it had to be shelved. Earlier, in September 2000, Russia helped put a Malaysian remote Earth sensing mini-satellite into orbit. That year, fires raging in the jungles of Sumatra and Kalimantan at regular intervals turned into a common disaster for Southeast Asia. Suffocating whitish haze was suspended in the air above many of Malaysia’s territories for long periods. Data beamed down from the satellite helped assess the scale of the environmental disaster and search for ways to counter it. Cooperation in aviation and space exploration with Malaysia continued. The launch of the Malaysian MEASAT-3 telecommunications satellite from the Baikonur cosmodrome in Kazakhstan in December 2006 was its next major success. The spaceflight remains a major highlight of growing Russia-Malaysia ties in the 21st century. It’s a good example of Moscow’s improving ties with the Muslim world which had been damaged by the invasion of Afghanistan in 1979. Despite Muszaphar's spectacular journey, Malaysia's expectations from space were rather down to earth. Launched as the Planetarium Division of the prime minister's office, the country's space outfit, the National Space Agency of Malaysia (ANGKASA) was founded only in 2002. 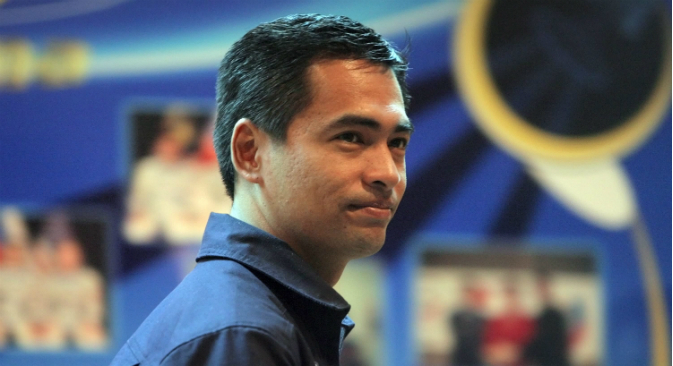 Its primary goals included “fostering the development of indigenous space technologies, assisting the government in formulating space policy, and also providing inspiration for younger Malays to become more scientifically savvy,” says Harding. Malaysia lacks the launch capability to send future antariksawan into space. But the Asian Tiger has taken the lead in Asia in utilising remote sensing data to monitor its valuable and endangered tropical forests. Harding points out the Malaysian Centre for Remote Sensing was founded in 1988 as an agency under the Ministry of Science, Technology and Innovation to coordinate data from remote sensing for applications in agriculture, forestry, hydrology, topography and socio-economic areas. Forest fires are one area in particular where remote sensing has been seen as invaluable, given the fires' frequency and propensity to cause significant health and economic problems. “To properly plan the country's investment in the space programme, the white paper ‘National Blueprint for the Malaysian Aerospace Industry’ was issued by the Malaysian government in 1996. It lays out a design to foment an aerospace industry that will transform the country into a space actor by 2015,” says Harding. Malaysia is still way behind regional players such a South Korea, which has achieved launch capability with Russian technical help. However, given the passion the Malaysians have for space, they are certain to make further progress in the final frontier.